A couple of times a week, I walk past the gorgeous exterior of Hallelujah Cafe on Kloof Nek Rd, and always glance admiringly at their colourful terrazzo exterior. Over the weekend, I also happened to stumble upon the ‘soft’ opening of brand new burger joint Junior , right across the road from Hallelujah and also, as it happens, kitted out in terrazzo. It’s so new I don’t even have pics! You’ll have to see for yourself. All this terrazzo making an appearance in the epicentre of Cape Town’s trendsetting district has caused me detect the whiff of a trend in the air, and so off I went to sniff it out. First stop: Wes Anderson’s Bar Luce in Milan, which opened earlier this year, with its pink terrazzo floor. So gorgeous! Wes agrees: terrazzo is hot, hot, hot! 1. Maison Kitsuné store in Paris. Photo: @petitepassport on instagram. More pics here. 2. As part of their store launch, Maison Kitsuné launched a Marmoreal capsule collection too. Valentino flagship store in NYC by David Chipperfield from 2014. Via Dezeen. So, the question is: does a high-end new architectural material, a couple of terrazzo-kitted Cape Town restaurants, and a sweatshirt a trend make? The Wes Anderson bar design hits the Bingo bell for me, but let’s all keep an eye out for more evidence, and enjoy some terrazzo from the history books in the meantime. Shiro Kuramata joined Ettore Sottsass’s Memphis collective in the ’80s, and this is his signature terrazzo surface, made into the Kyoto Table. 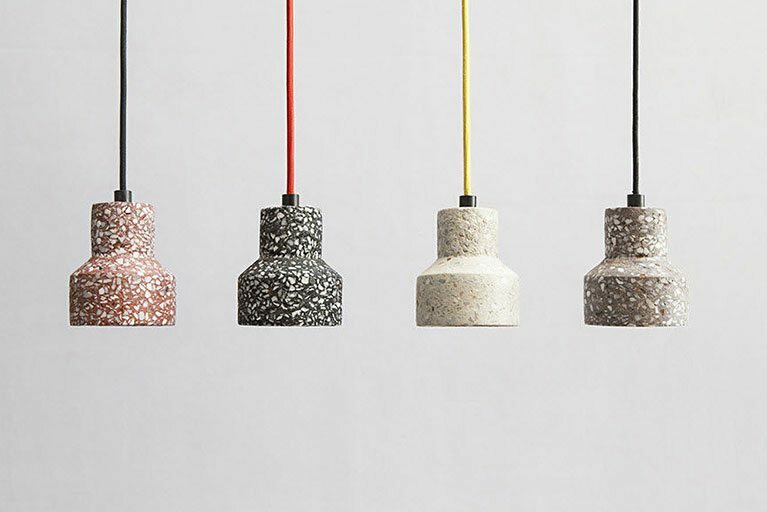 Posted in Style & Inspiration and tagged Best Things, terrazzo. Terrazzo flooring and counters are just the best! I think it is fun in a busy fun environment like an eatery, but its a little overwhelming inside a home for me..outdoors is better..
CrawfishThis illustration by Charlie Harper was made for Ford Times in 1956. I found it via ffffound.com, originally from Glen Mulally’s Flickr photostream.If you like 50s style, check out Grain Edit for more design and style leads along those lines.